Routes Less Travelled: What's There To Do In The "Soo"? Initially, our plans were no different than most other travellers - stop for the night, then continue on but, we began rethinking those plans when we pulled into the Sault Ste Marie KOA. If there’s a “gold standard” for KOA parks, this has to be it. The winner of numerous awards, this park had it all with wide roads, lots of shade trees and well sized sites. 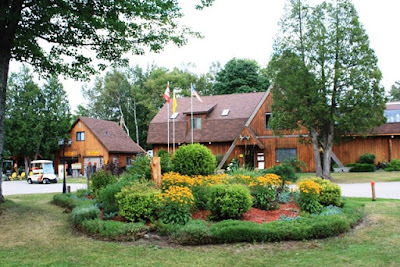 Along with the usual amenities such as a pool, laundry facilities, hiking trails and children’s play area, it also had great wi-fi, cable TV, an RV washing station, RV scales, mini golf, a dog grooming salon and a dog agility track. One of the owners, Bill Richard, personally led us to our site then returned at least twice afterwards to ensure all was well. Now that’s service! It was in the office however that we had our epiphany. Racks and racks of pamphlets, brochures and literature advertised a multitude of local events, activities and attractions. The staff were very knowledgeable and provided us with recommendations, advice and suggestions. As we soon discovered, there really were a lot of things to see and do in the “Soo” and we should definitely take the time to check some of them out. 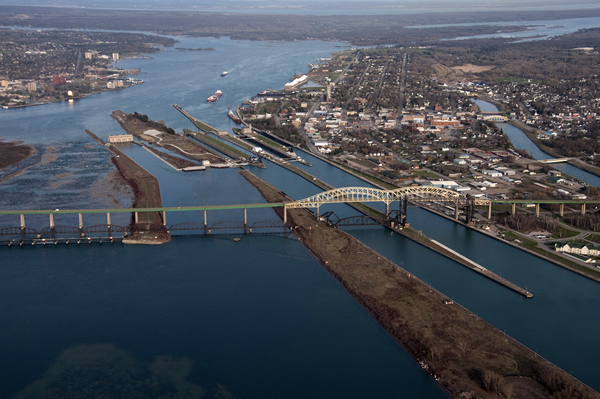 Actually, I should probably say the “Soos” because there are two cities with the name Sault Ste Marie, one on each side of the St Mary’s River. This 76 mile long waterway not only links Lake Superior with Lake Huron but also acts as the boundary between Canada and the United States. While the names may be the same, the two cities are very different. 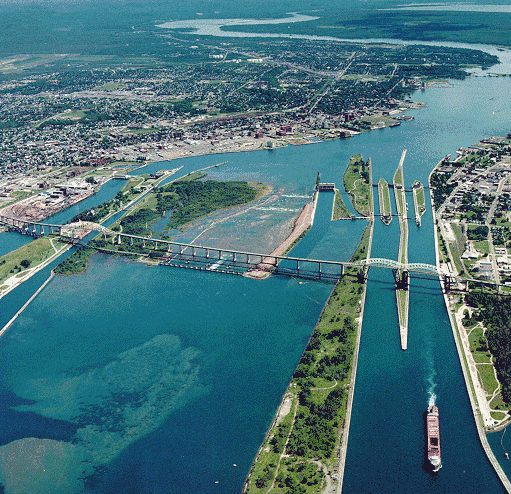 Sault Ste Marie, Ontario, on the Canadian side of the river is considerably larger with a population of around 75,000. And, it's more industrial. At one time, the city boasted a steel mill, pulp and paper plant, saw mills and much more. Today, the steel mill is still operating but at a reduced capacity while most of the other industries have either down-sized or disappeared. Remnants of this manufacturing past can still be seen however, the city is trying to shed or at least soften its industrial image and encourage tourism. For example, a riverside revitalization project has recently been completed. 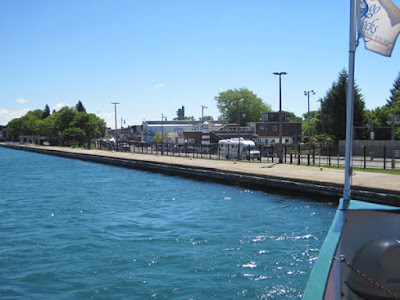 Now, paved walkways, bicycle paths, green spaces, parks and attractions line the waterfront where docks, warehouses and commercial buildings once stood. It’s an amazing and appealing transformation. At the eastern end of this revitalized region is one of those attractions - the Canadian Bushplane Museum. This has to be one of the nicest aviation museums I’ve had the pleasure of visiting. 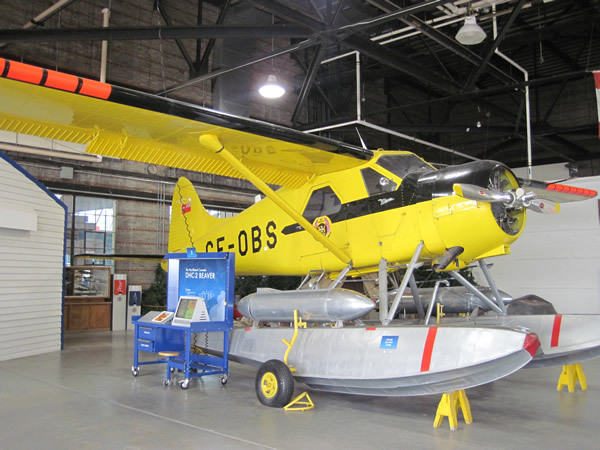 Their collection is extensive and focused on aircraft used to open up the North as well as fight forest fires. Beginning with surplus World War 1 era flying boats which were the first airplanes used for bush flying, the collection extends right up to the present day. It’s the kind of place an aviation buff can spend hours exploring. 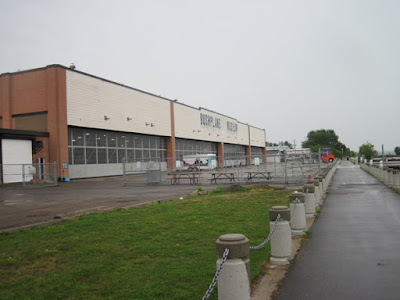 The museum is housed in a huge hanger that’s right on the river. At one time, the building was actually used as a bushplane base so it seems only fitting that it should now serve as a bushplane museum. Wandering around Canadian Bushplane Museum definitely worked up a thirst. 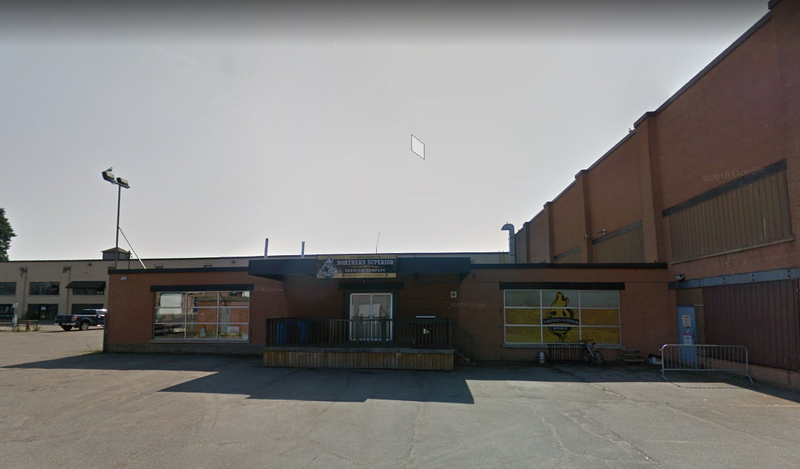 Thankfully, the Northern Superior Brewery, a micro-brewery was right next door. Not only were these guys making great beer, they are also developing their own museum containing all sorts of brewing memorabilia. Aviation and beer tasting - what an outstanding combination! 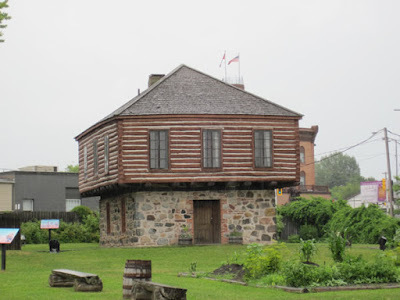 Across the street and up the block was the Ermatinger Clergue National Historic Site the location of two of the oldest stone buildings in Ontario, west of Toronto as well as an interactive Heritage Discovery Centre. If there’s one thing this area does not lack for, its museums and historic sites which speaks volumes to the area’s rich and vibrant past and making it a mecca for history buffs . 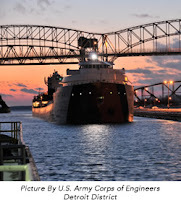 Whether its First Nation’s heritage, European exploration, the fur trade, the American Revolution, the War of 1812, the American Civil War, the Industrial Revolution, maritime history or aviation heritage, Sault Ste Marie has played an important and vital role which has been chronicled and preserved by these many and varied institutions. Further downtown is the Art Gallery of Algoma, the Sault Ste. Marie Museum and the Roberta Bondar Park & Pavilion. The later was named in honour of the city’s famous citizen, Dr. Roberta Bondar. This outdoor venue – part of the revitalized waterfront - is used to host a variety of events including local concerts and festivals. The city is also the departure point for the Agawa Canyon Tour Train which travels about 183 km north over towering trestles and along pristine lakes and rivers, to the scenic Agawa Canyon - sometimes referred to as Canada’s Grand Canyon. 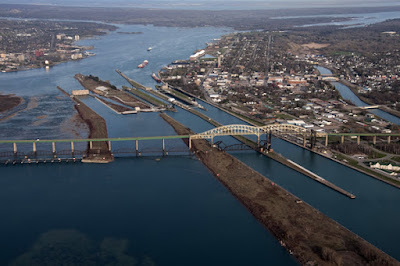 Soaring high above the St Mary’s River, the Sault Ste Marie International Bridge links Sault Ste Marie, Ontario with Sault Ste Marie, Michigan. The American city is much smaller than its Canadian neighbor with a population of under 15,000. 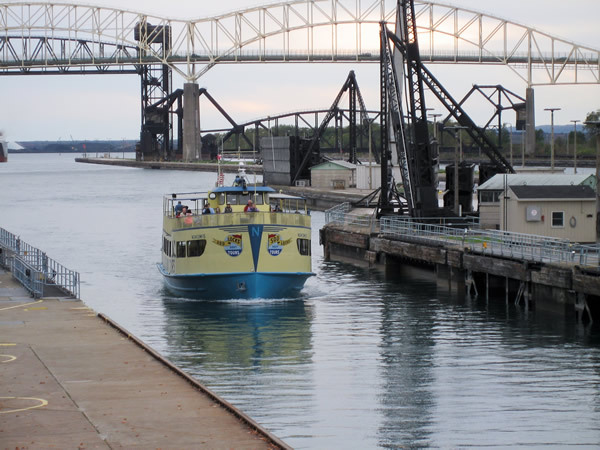 It’s also much more “touristy” - the result of thousands of visitors flocking to see the city’s most famous attraction – the Soo Locks. 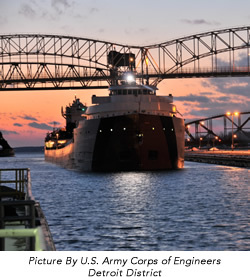 This amazing canal network allows huge ships to travel between Lake Superior and the rest of the Great Lakes. The facility was built by the US Army Corp of Engineers, shortly after the completion of the Panama Canal. Since then it has been enlarged and expanded so that it can now handle vessels up to 1000 feet in length. Watching huge ships navigate the waterway is an incredible experience and one that is best done from a large, three story observation platform built right beside the main lock. Just behind the viewing platform is the Soo Locks Visitors Center which houses a number of interpretive displays and exhibits. In front of the visitor’s center is the city’s downtown core where most businesses such as souvenir stores, restaurants, cafes, ice cream shops and the like, are located. The downtown area is so close to the locks that many of the restaurants have open air patios where visitors can dine and watch ships at the same time. While the observation platform does provide a great viewing experience, my favourite way to see the locks - both American and Canadian – as well as other area attractions is from the deck of a tour boat operated by the Soo Locks Boat Tour Company. 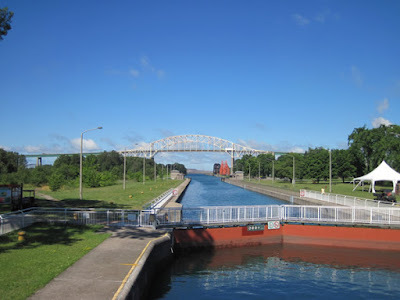 The huge American canal system is the main draw but, Canada has its own canal which is definitely worth seeing. 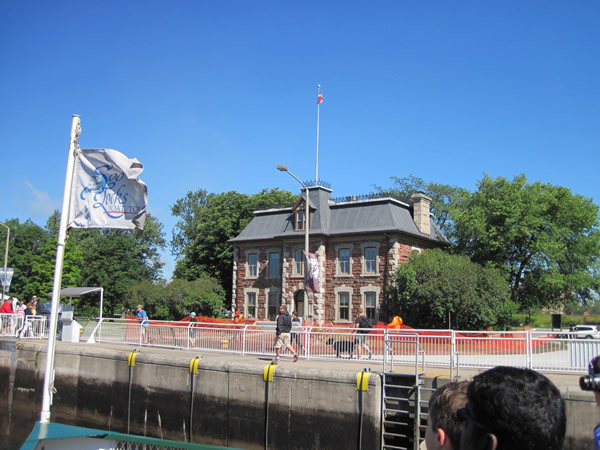 Originally built in the late 1800’s, the lock which is still in use and the surrounding buildings have been restored and designated a National Heritage Site - The Sault Ste. Marie Canal National Historic Site. 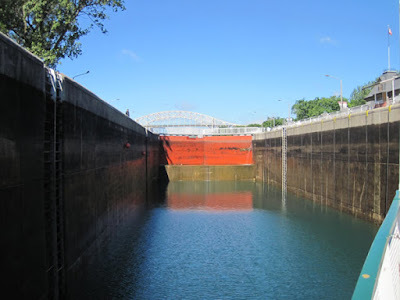 Today, the canal is used primarily by pleasure boats including canoes and kayaks which seem to prefer travelling on the Canadian side of the river, away from the hustle and bustled of the large American waterway and huge freighters. 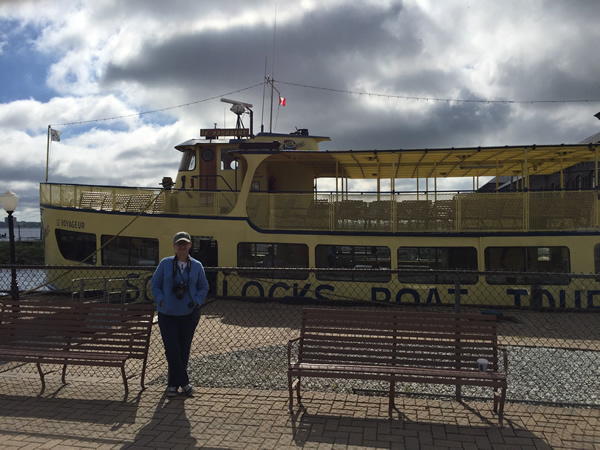 The offices of the Soo Lock Boat Tour Company are located along the waterfront in Sault Ste Marie, Michigan. Next door is the “Valley Camp” Ship Museum. The museum is actually situated inside an old, decommissioned Great Lakes freighter named the “Valley Camp”. It’s a wonderful place to learn about these types of vessels and how they operated as well as the region’s maritime history. Just down the road is the “River of History” museum, another institution which explores and chronicles the area’s rich past. 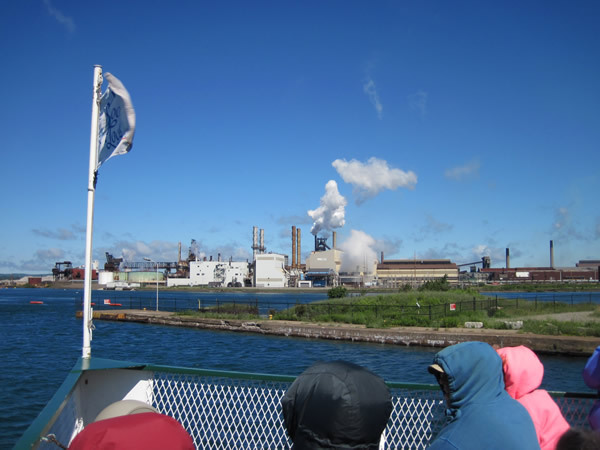 As a strategic spot on the main water route between Lake Superior and Lake Huron, Sault Ste Marie was not only important to the native Ojibwa people but also to later European traders and explorers as well. The first permanent European settlement was established in 1668 by Jesuit missionaries on the spot where Sault Ste Marie, Michigan now stands. That makes it the oldest city in the state as well as one of the oldest cities in all the United States. Not far away is the “Tower of History”, a 210 foot high structure which provides a panoramic view of the city, the canal system and the surrounding area. It too has a number of historical exhibits and displays on the main floor. Speaking of surrounding area, the Sault Ste Marie region boasts numerous parks, forests and places of interest not far from the two cities. Many contain miles of hiking and mountain biking trails. Others are important historically. One example is the Fort St. Joseph National Historic Site which lies about 90km south-east on the Canadian side of the river. Once an imposing British fortress protecting the fur-trade route between Western Canada and Montreal, it is now an important archaeological site. For maritime history fans, the Great Lakes Shipwreck Museum at the nearby Whitefish Point Light Station on the south shore of Lake Superior is a “must see”. Operated by the Great Lakes Shipwreck Historical Society, the light house and most of the other out buildings have been restored and now house an amazing collection of artifacts, exhibits and memorabilia documenting the marine history and ship wreaks of the region including the famous Great Lakes freighter, “Edmond Fitzgerald”. About 40 minutes south of Sault Ste Marie, Michigan is the community of St Ignace, located on the north shore of the Mackinac Straights, the body of water which connects Lake Michigan with Lake Huron. Settle by Jesuit Missionaries in 1671, it is now a popular tourist town as well as one of several ferry terminuses to Mackinac Island. St Ignace also situated near the northern end of the Mackinac bridge, the fourth longest suspension bridge in the world spanning the Mackinac Straights. Mackinac Island, positioned in the middle of the Mackinac Straights, has become famous for its “no motorized vehicle” policy. Nothing with an internal combustion engine is allowed on the island’s roads. Instead, everyone travels by foot, bicycle or horse drawn carriage. Some have called the island a living time capsule forever set in the early 1900’s. The crown jewel is the magnificent Grand Hotel where high tea is served every afternoon and ball room dances held every evening. The island is also home to Fort Mackinac, the restored garrison originally built by the Americans to counter the British stronghold at Fort St Joseph. 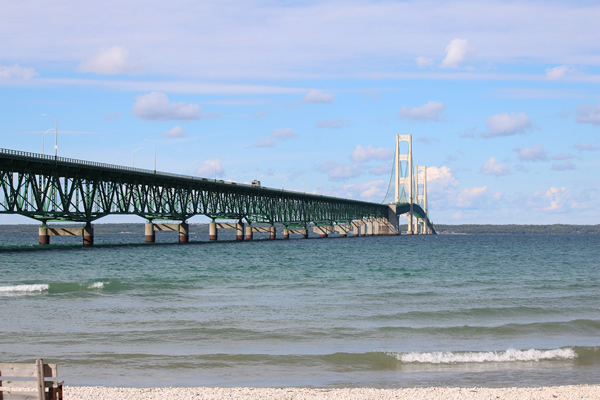 On the south end of the Mackinac bridge is Mackinaw City, one of the most popular tourist destinations in the state. Nearby is Fort Michilimackinac, a restored wooden fort and museum originally built by the French in 1715. Just one more indicator of the rich and important history of this area. Did I mention that this is a fantastic area for history buffs? So, what is there to do in the Soo? Quite a bit, as it turns out and that’s no joke!